Your home? A hotel? If you suffer from bed bugs bites, you need our bed bugs removal services. Inoculand provides bedbugs treatments in London. We can follow two strategies: heat treatment and/or spraying (pesticides or organic). ​We use thermal eradication (Heat Treatment) using specialist technicians, solely dedicated to this form of treatment using the latest technology in thermal blasting. Bedbug pest control is being increasingly difficult to eradicate using chemicals due to legislation changes and chemical resistance. And Heat treatment against bedbugs is fast becoming the surest way to regain your home from them. 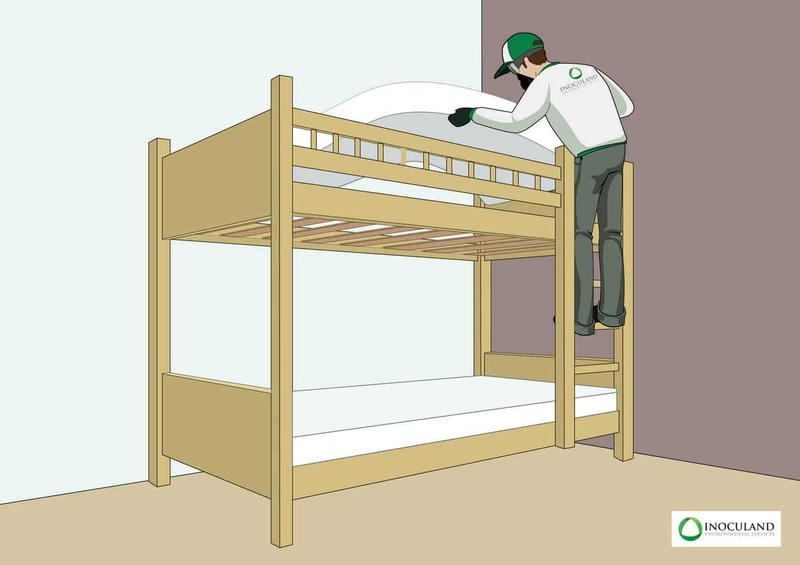 Inoculand heat treatment relies on thermal blasting to raise the temperature of your home and the belongings it contains above 56º C in order to destroy every stage of the bed bugs life cycle. A typical heat treatment would normally last between 4 to 8 hours depending on the size of the area to be treated. It is a 1-day 100% guaranteed bed bugs eradication service. 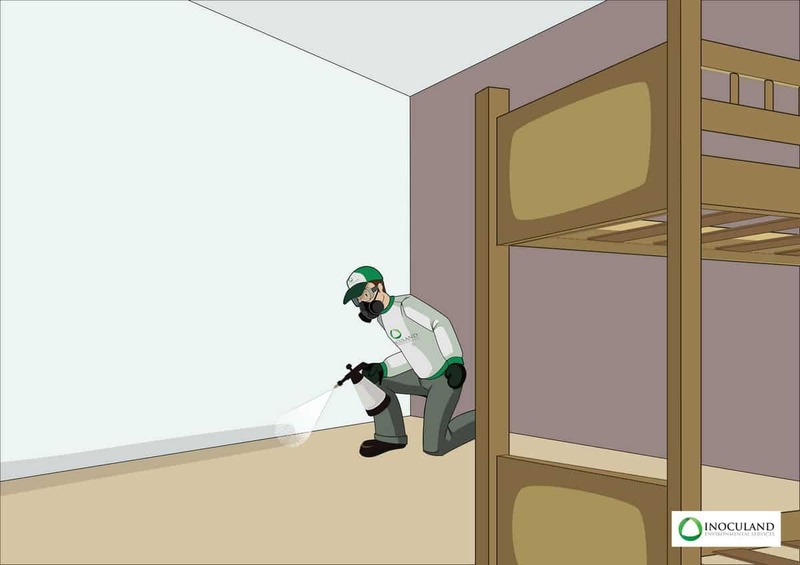 We also offer a pesticide based bed bugs treatment. Our approach to chemical forms of eradications has been overseen by our expert biologist. We are experts in using the right formulation for the right environment taking into account any factor in an individual basis. These chemicals are various killing agents, synergiser and .insect growth regulators that will attack the insect biological pathways on many fronts. Bed bugs infestations in london, treated with pesticides will require repeated visits in order to break the life cycle of the insects. Meanwhile, tenants will have to endure bed bugs activity while the treatment follows its course and deplete the stock of adults, nymphs and eggs. You need a sleeping person to draw bed bugs out to feed. 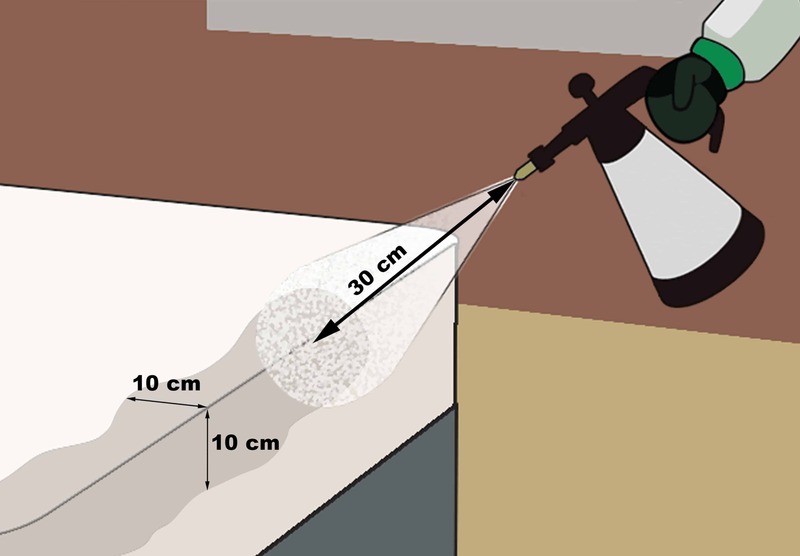 If the property is untenanted the bed bugs will not come out to feed, and hence not get exposed to the pesticides. The sofa is especially critical as it often gets infested, and in turn spread to other bedrooms. It is important to have someone sleeping on the sofa at least once every 4 days for the full duration of the treatment (4 weeks). Similarly, you cannot rent out an infested property. Landlords and hotel managers looking for a quick turnaround should only consider heat treatment as the solution as it is a 1-day guaranteed bed bug eradication process. As a pest control company we never take risk. 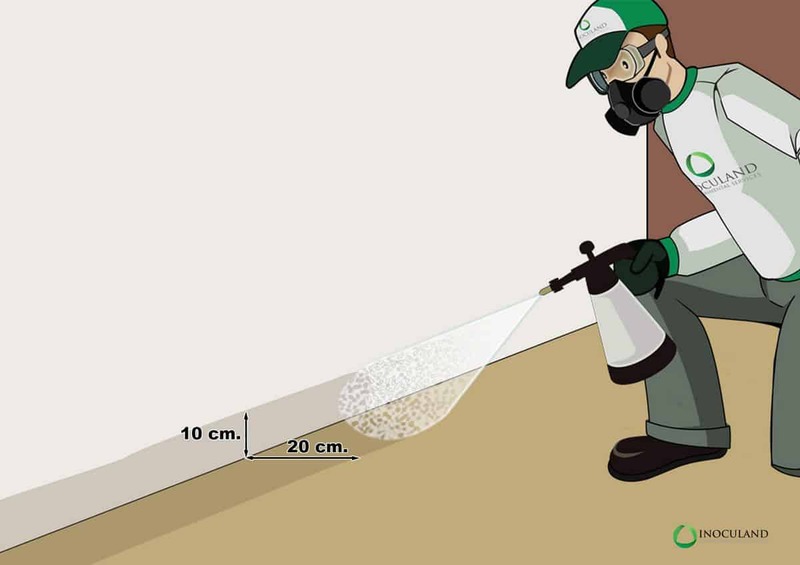 After treating, the tenants will stay clear from the sprayed area until completely dry (up to 6 hours). Also we strongly advise the heat treatment as the preferred treatment method whenever you have children, vulnerable people and pets. In London bedbug treatment are getting more and more frequent. The general public are getting aware of the existing problem thanks to the media talking about the challenge it raises. The bedbug issue is exacerbated in London because of the need to share a home with others, and the often high turn over of tenants. Londoners travel a lot. And London receive a very high level of tourism from all over the world. All of that increase the chance of contaminated suitcases cross contaminating other environments such as the tube, airports, luggage hold of planes, hotels, flats..
As more and more places are infested, the change of picking it up increase accordingly. Since in most cases the measures of pest control in London public transports, and in most hostels are inappropriate, there is a latent bedbug population waiting for the opportunity to take a ride with you back to your home. Bed bugs are opportunistic and people pick them up without noticing them. Beyond that, not taking early notice is what will cause a heavy infestation to take place. Also, having a high turnover of tenants will increase the chance to get infested by bed bugs. Typical place where you can pick up bed bugs are Hostels, Hotels, shared flats with high turnover and/or overcrowded, in the transports (luggages/buses/planes), at work, during a sleepover, getting 2nd hand contaminated items.. The first signs to look for are bite marks on your skin. The swallowing only happen when people are sensitised or allergic to them. i.e. Both partners are getting bitten but only one may show marks on the skin. Then, to confirm the bed bug infestation, look for blood spots/insect skins/nymphs/bedbugs at the back of the headboard, at the feet of the bed, possibly on the crease of the mattress and bed sheets. Bed bugs are resilient. You stand little chance to achieve control using commercial products. The most efficient approach to remove bed bugs is the heat treatment. However, you can also achieve control by carrying out repeated visits using residual insecticides and insect growth regulators. Diatomaceous Earth also has a detrimental effect on bedbugs and can contribute along side a chemical treatment toward full eradication. Is there any shop where I can buy bed bugs sprays? Some of Inoculand Ltd Pest Control clients have mentioned: bed bug spray Tesco, bed bug spray Asda, bed bug spray Boots, bed bug spray Wilkinsons and bed bug spray B&Q. However, Inoculand only recommends professional removal treatments. How to get rid of them fast. The only method that kills bed bugs fast is heat treatment. It is a 1-day 100% guaranteed bed bugs eradication service. Adult bed bugs, nymphs and eggs are all destroyed at once. Chemical treatments kill the bedbugs as they come out to feed and crawl on the pesticides, and as the eggs hatch out. Typically a London bed bug treatment relying on pesticides will deplete the stock of bed bugs, nymphs and eggs until the life cycle is broken, about 3-4 weeks. During that time the tenants will keep on suffering bites to some extent. No, bed bugs do not jump. You may actually have seen fleas instead of bed bugs. How can I prevent a bed bugs infestation? Bed bugs infestations are introduced by tenants in the home. Ideally, you would not bring infested articles in, so avoid second hand furniture and be careful with your suitcases while travelling. We are often required to treat bedbugs in London properties that have been spotted in communal areas. Some tenants having previously dragged out an infested mattress down the hallway and staircase on the way to the bin. Take preventive steps such as: inspecting for signs of bed bugs infestations, steaming the items, hot washing the clothes and spraying with insecticides. Any bites may cause a skin reaction, that may not look any different for bedbugs or mosquitoes. Most people in London may start thinking they are mosquito bites, until they see blood spots on the mattress or the insect itself. No, bed bugs cannot fly. The only way for bedbug having gone from one room to the next is by being carried into the room on the person or on some belongings. Typically London bedbug infestations are often spread from one room to the next because of the sofa that all flatmates are using. No, bed bugs do not itch, but their bites can trigger an inflammatory response that cause redness, heat and pain. Scratching will only exacerbate the issue and delay healing. Best to use specialised creams. The main point about heat treatment is time, since it is generally carried out over 1 day. Another of its benefits is that is can be carried out chemical free. That will greatly appeal to people being allergic/sensitive to pesticides . Heat treatment is also the ONLY solution to treat an infested property without tenants living there (void property). Heat treatment for hotel or any accommodation business will allow a quick turn around and will prevent future guest from pick up a bed bug infestations. London hotel and hostels cannot control bedbugs using pesticides and renting out the rooms while the treatment is following its course. Inoculand Ltd Pest Control provides treatments for bed bugs in London and surrounding counties.